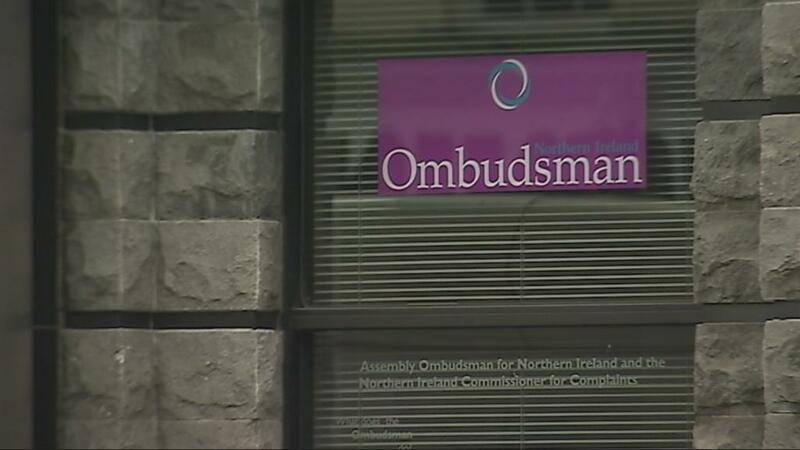 Thin end of the wedge for the Northern Ireland Ombudsman? The Northern Ireland Ombudsman has sounded a warning over potential threats to the independence and powers of his office as the Assembly considers the future of all “watchdog” agencies here. In an exclusive interview with The Detail, Dr Tom Frawley says public confidence will be eroded if his office ends up looking like a vehicle of the Assembly. His comments come as the Committee of the Office of the First Minister and Deputy First Minister prepares to reform the legislation which underpins his role – the first time a committee, rather than a department has sponsored legislation. •	Jurisdiction over the field of social work. With most assembly business halted for the summer, the committee won’t meet again until September and decisions on the way forward are likely to be taken then. In the meantime Dr Frawley is also facing an attack from the medical community here, as the doctors’ union, the British Medical Association, has challenged his right to recommend that GPs apologise and issue consolatory payments when found guilty of maladministration – revealed in The Detail in June. And Dr Frawley is concerned that his jurisdiction over healthcare could be eroded if the committee continues to resist his calls for full reach into the field of social work; he currently can only take on a case when another agency has proved maladministration. The BMA is known to have the sympathy of some members of the committee, mostly unionists, who see “mission creep” on the part of the Ombudsman. Those same committee members also believe social workers are already sufficiently regulated. But Dr Frawley fears that if he cannot have oversight of social workers, then he has lost the argument to have oversight in the field of healthcare. He insists that his motivation is one of public service. “What this comes down to is a protection for the citizen. Every patient, every carer, every family member, has the right to have the experience of their loved one – whether that’s their daughter, their son or their mother – examined and tested to make sure that particular treatment was the most appropriate. On the issue of regulating administration in social work, Dr Frawley said: “This is the only part of the UK were social services are integrated with health, and we are clearly saying that we should be able to look at the decisions of social workers when we have the same power in respect of doctors and nurses. Dr Frawley, who has been NI Ombudsman since September 2000, can currently investigate cases following a complaint to his office. He believes the ability to initiate his own investigations could make a huge difference. He said: “I think it’s a recourse we would like to have, I don’t think we’d be using it extensively and it’s important to say that. “But it does seem to me when you look at the example of the Republic of Ireland which has that authority; when they looked at how maintenance money is being used in the care of older people. My colleague in the south discovered that this was a very systematic problem, in fact it was systemic. However he acknowledges that it could attract negative perceptions. In Northern Ireland, the Ombudsman’s recommendations are not judicial decisions and are therefore not upheld by law. If a body that the Ombudsman makes a ruling on is unhappy with a decision or does not agree with all the recommendations, there are a number of things that can happen. They can choose to ignore or refuse to meet the terms of the Ombudsman’s ruling – an approach the BMA is advocating. If this happens the Ombudsman must decide whether to notify the Assembly by way of a Special Report. It is then for the Assembly to determine what, if any, action it will take. The Northern Ireland Ombudsman also has a power available to it under current legislation that does not exist anywhere else in the UK. Under his role as Commissioner for Complaints, if his ruling is rejected, the complainant can to go to the county court with the decision. This is one of the measures the OFMDFM committee is considering removing from him. “I know that some believe that we shouldn’t have the county court involved because it brings the courts back in when this is supposed to be an alternative to the courts. On the other hand there are those who will say to me ‘but is it appropriate that the assembly as an elected body makes a judgment about a local authority that is an elected body’; which I think does have even to me some constitutional implications also. Ultimately Dr. Frawley acknowledges that for now his fate lies with the committee for OFMDFM and this might mean leaving his office vulnerable to a reduction in powers. “Any situation when people are looking at legislation or revising it- it always has the potential for authority to be extended and maintained or alternatively to be adjusted in a way that will reduce the authority invested in the office. This is a constant challenge and you want to try and put the arguments as robustly as you can. “Understandably this is a huge challenge because inevitably the public perception may be ‘oh it’s a vehicle of the assembly, the politicians tell him what to do, oh no it’s a vehicle of the men in suits they tell him what to do, oh no it’s a vehicle of the lobbyists all round the place they tell him what to do’ and the challenge for me and this office is to be independent and to demonstrate this to the public.